Emma were taking a long time to get ready on the start, whilst we were straight into position with some expert coxing from Will. Unfortunately, by the time they were eventually ready, we’d been blown towards the far bank, and the umpire proceeded to set us off at an angle. Despite this, the start was great and the crew settled into a good rhythm, holding Emma off comfortably. Around the first corner everything went well, but somewhere between the gut and the plough the rudder managed to snag some debris and started to cause problems for Will. With some brute strength from Mike and Neil though, we made it round the corners and onto the reach, where we were leading Emma by about 20 seconds. Some decent rowing into a fairly strong headwind saw this lead extended to 26 seconds by the finish. The first IV are set to race Queens’, and the second Jesus IV. 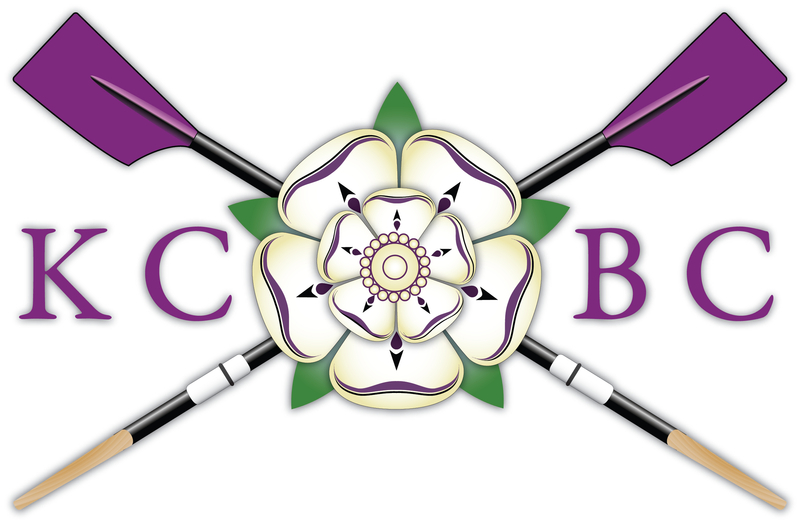 After CUCBC committee members had initially expressed doubt of Jesus IV’s existence, only to finally confirm that they would be on the start line mere hours before the race, we were vaguely optimistic. And rightly so, they decided to scratch half an hour later, handing us a bye to the semi-finals. 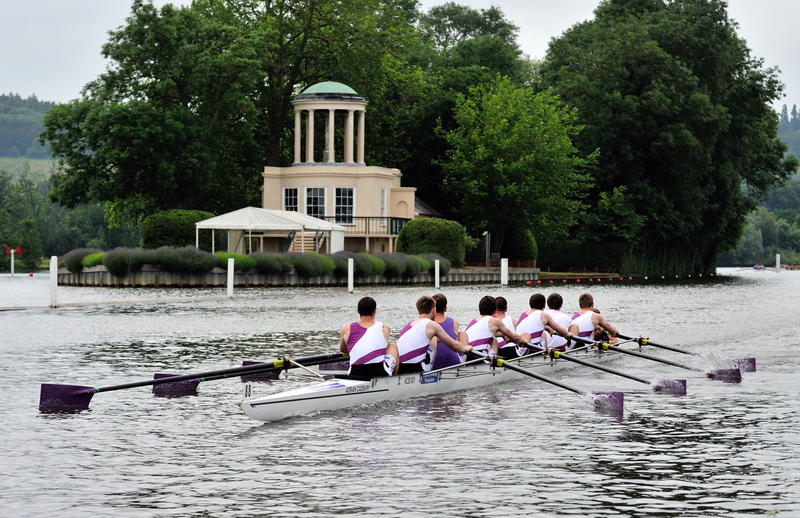 We knew from past experience that Queens’ are traditionally fairly strong in Michaelmas, so we were expecting nothing less than a hard fought race from them, especially after having to re-row against them last year. Thankfully, unlike the previous race, our rudder stayed debris free for the race, and we reaped the benefits of being able to take the corners. After a strong start we had already put significant distance on them by first post corner, and extended the lead up to the plough at which point we were roughly 10s ahead. As we were top station we were well aware of the lead we had established so we never stepped up a gear after that point, allowing the gap to close a little between the crews, but in reality the result was never in doubt as we crossed the line 8s ahead. This was a difficult race to predict, as we came in having beaten them convincingly at autumn head, but they had pulled a faster time than us on the previous day. It proved to be an incredibly close race, with us having a strong start off the top station, winding into the mid 40s before settling down onto our strong racing rhythm by the end of first post reach. We were perhaps a little cautious around the corners but by the time we reached the plough, our bank party had us a length and a half ahead – exactly where we needed to be given the wind on the reach. Coming around Ditton, the wind hit us fairly hard, and Christ’s were down to ¾ of a length off us at the start of the reach, but from then on, they didn’t gain at all on us and after a sprint finish we crossed the line 2s ahead of them – just enough to avoid a rerow – and progress to the final against a highly fancied Clare boat. We hadn’t really hit our best rhythm in this race but thankfully it was enough to take us through. The second IV were to be chased by Emma 2. The best start we had yet managed and some of our most composed race-pace rowing put us level at the plough. Emma took the opportunity to pounce as we took a slightly wide line around Ditton and hit the wind harder than expected though, allowing them to eat into us a bit coming onto the reach. A combination of panicking and failing to regain our composure and rhythm ultimately led to them winning by about 15s, and the end of the Second IV’s Uni IVs campaign. Make no mistake, Clare were a good crew. They’d overtaken everyone they’d raced so far and had several ex-Blues and lightweights in the boat. Nevertheless, King’s was determined to give them a run for their money. Off the start, the crew hit 48 1/2 strokes per minute. The outflow flew up so fast Will barely had time to warn the crew before it was wreaking its havoc on the boat. The rate settled slightly, but remained high; 36 at least for most of first post reach. Around the corners, the rudder behaved itself and decent power from the relevant sides kept the boat hugging the inside of each corner. Every lift was met with aggression and determination, and by the plough Clare hadn’t gained much more than a length. Onto the long reach, King’s lifted up yet again, but Clare had attacked the corner to gain another length. Nonetheless, every King’s lift took them up towards 38 before settling back down to around 36. Sheer grit and power ensured that Clare didn’t gain anything more on the reach, and so it was that we passed their finish line without being overtaken. Sadly, at this exact moment the bow side blades clattered with the bank after a combination of an extremely tight line from Will and an unbalanced stroke from bow pair. The crew was upset, but dignified enough to wind it back up and finish properly. The official margin sadly does not do them justice, but the bank party timing had them at around a 7:30 finish had they not crashed, which would have been an extremely impressive time. Not quite as impressive as Clare’s winning time, but fast enough to win Uni IVs in most years! 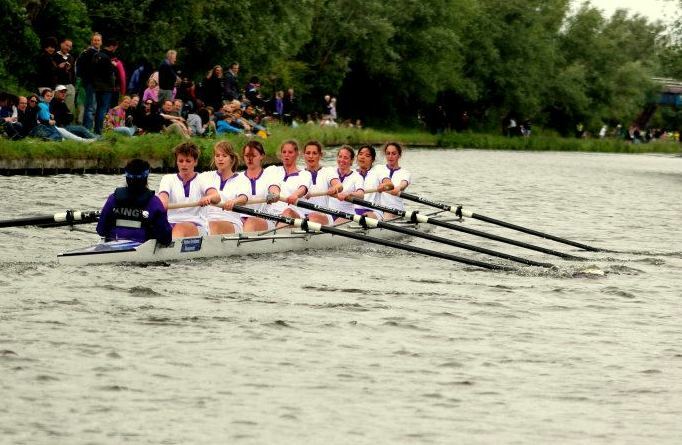 Never have I been more jealous of a King’s boat than I was of their race that day (Conor, stuck on the bank).